It’s nice to be back here! I feel like it's been a decade since I write my last post! Phew~! I obviously can’t find time to update this blog. It’s quite difficult to balance my time to work, social life and to other things I’d want to do. The least thing I can do to keep myself updated in the social media is to update my Instagram (@priscillajoycepardo) and Facebook (fb.com/priscillajoycepardo) account with the things that happens every day through pictures or through words. As a solution to this problem, I thought of having another segment that could still showcase my fashion taste/ thoughts and ideas without spending much time to do it, the least I can do on my free time. I’ll call it Style Staple which will feature different fashion inspiration and how-to-style guides from my own sense. Don't get me wrong, I'm not claiming to be a legit Stylista, I'm a trying hard one I know, but I aspire to be once so I hope this will help. 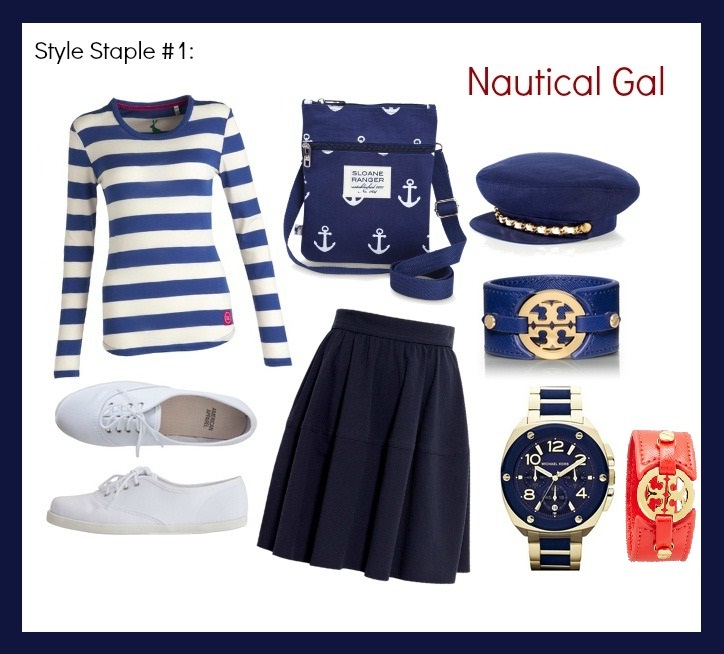 For the first Style Staple segment, here is a nautical-inspired outfit. Nautical fashion is known for its blue-white-red color combination plus the stripes. My version is so like that which is basically a combination of blue and white-colored pieces with a pop of red. This look is a preppy, comfortable ensemble which will be best to worn in school, hanging out with friends, malling or going to park. wuaaaa I really love this post and miss your post a lot! I am such a fan of the nautical look especially when blue and red is combined!